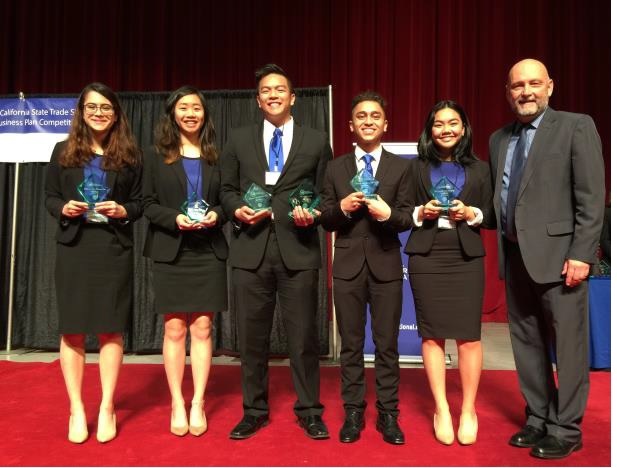 On Thursday, January 19, 2017, California held their State Business Plan Competition Finals. Eighty-one companies participated in the first two preliminary rounds during mid-December 2016. Forty-two companies participated in the third round on Wednesday, January 18, 2017 and sixteen companies participated in the fourth round on Wednesday, January 18, 2017. Congratulations to the following six firms, they will be will be representing California at the Youth Business Summit.